Written by the 7th generation Beam family member and Master Distiller, Frederick Booker Noe III, Beam, Straight Up is the first book to be written by a Beam, the family behind the 217-year whiskey dynasty and makers of one of the world's best-selling bourbons. 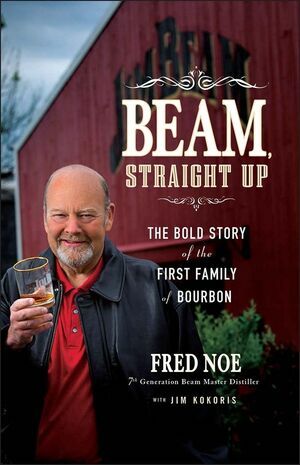 This book features family history and the evolution of bourbon, including Fred's storied youth "growing up Beam" in Bardstown, Kentucky; his transition from the bottling line to renowned global bourbon ambassador; and his valuable business insights on how to maintain and grow a revered brand. For anyone wanting a behind the scenes look at Jim Beam, and an understanding of the bourbon industry, Beam, Straight Up will detail the family business, and its role in helping to shape it. FRED NOE is the great-grandson of the legendary distiller, Jim Beam, as well as Beam Inc.'s Global Brand Ambassador and Master Distiller. He is the seventh-generation distilling Beam. JIM KOKORIS is a longtime family friend, spokesperson, and publicist for the Beams. He is also the author of three novels: The Rich Part of Life, Sister North, and The Pursuit of Other Interests.